This 12x12 double sided designer paper has an assortment of 3"x4" and 4"x6" Journaling Cards. Use them to accent your projects or to make Birthday cards. On the reverse side you'll find large Black Dots on a White background. Happy Birthday!! 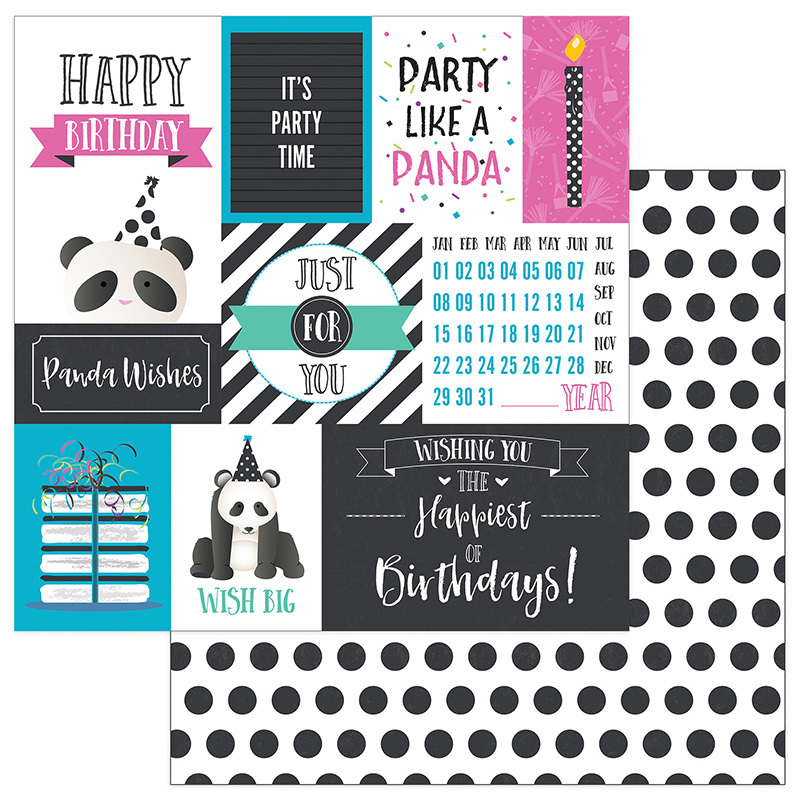 Look for the coordinating Panda Party Collection Kit and single sheets of the designer paper. Part of the Panda Party Collection by PhotoPlay Paper.